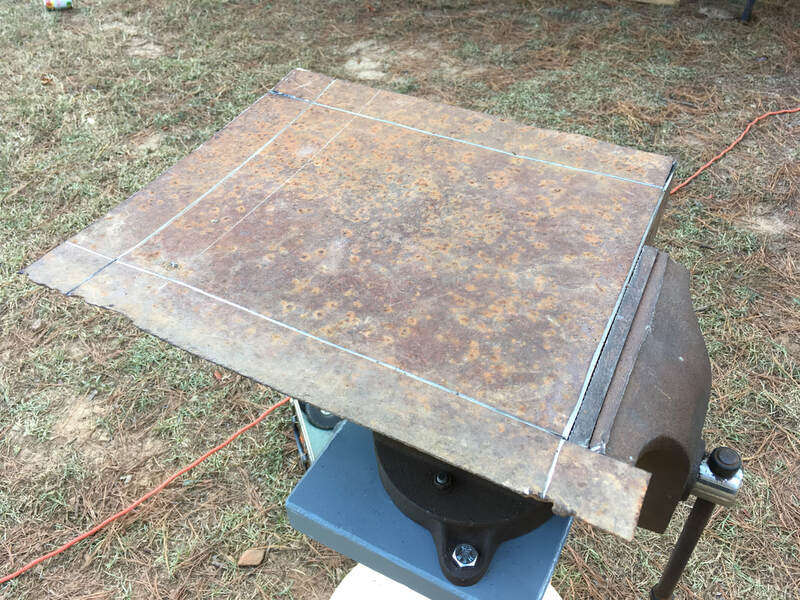 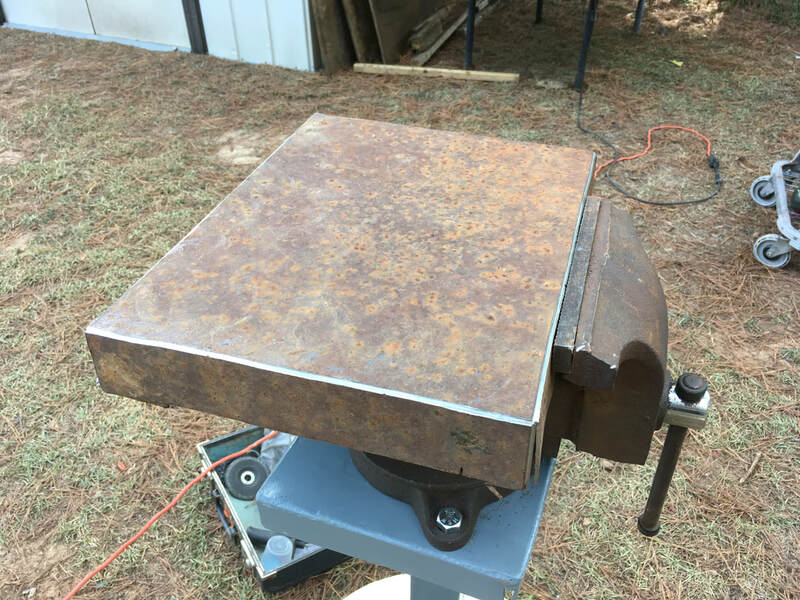 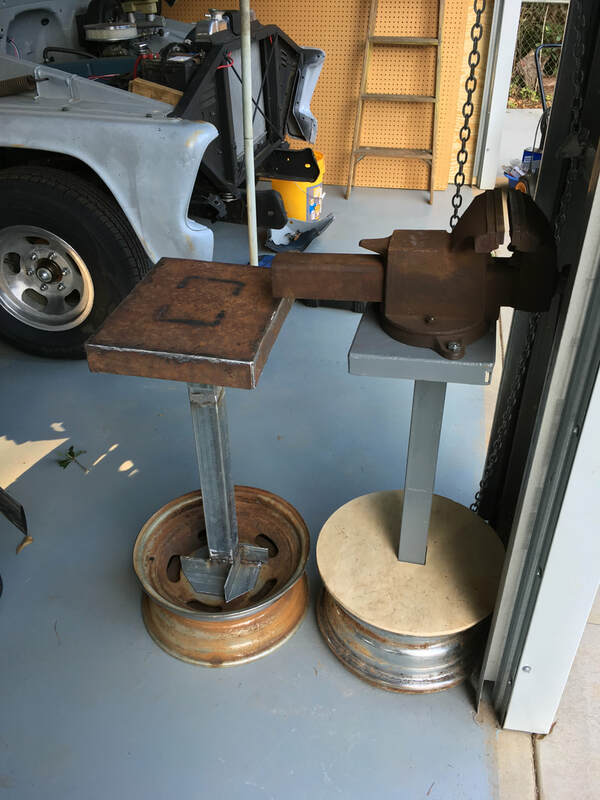 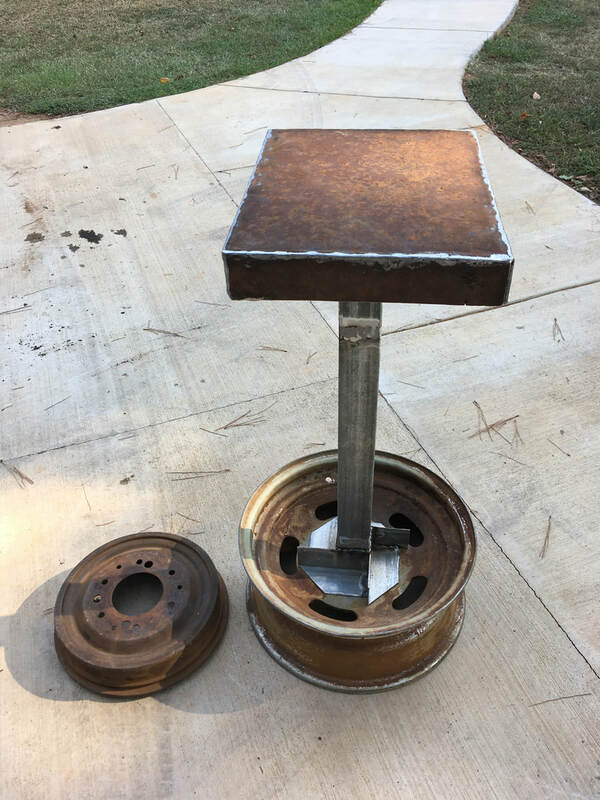 The grinder stand is done. 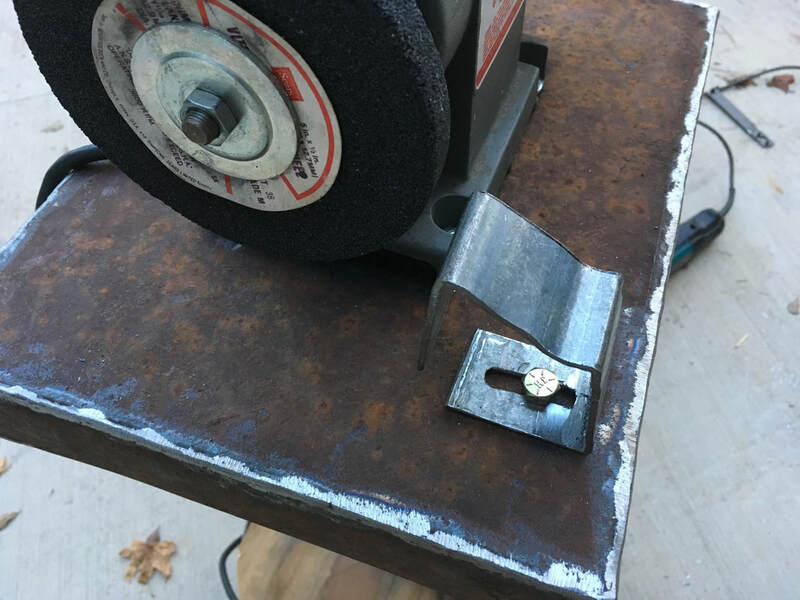 I put a plywood disc on top of the wheel so small stuff doesn't fall inside. 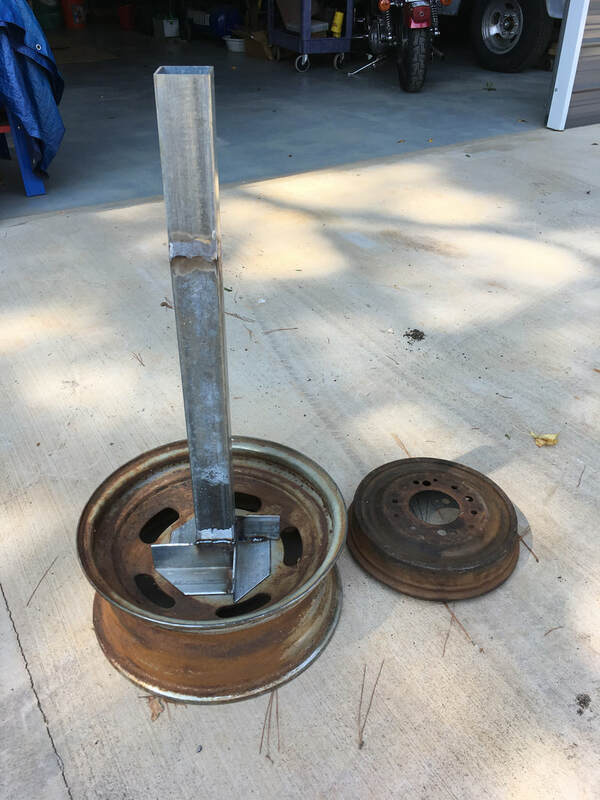 A plate was added in front of the left wheel because the original guard and plate is broken off. 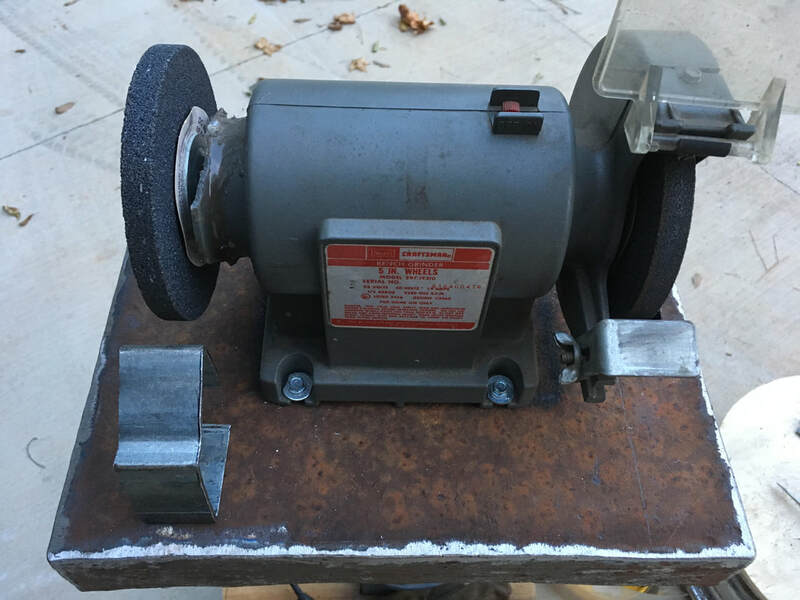 It's not a very good grinder, but it's all I have. 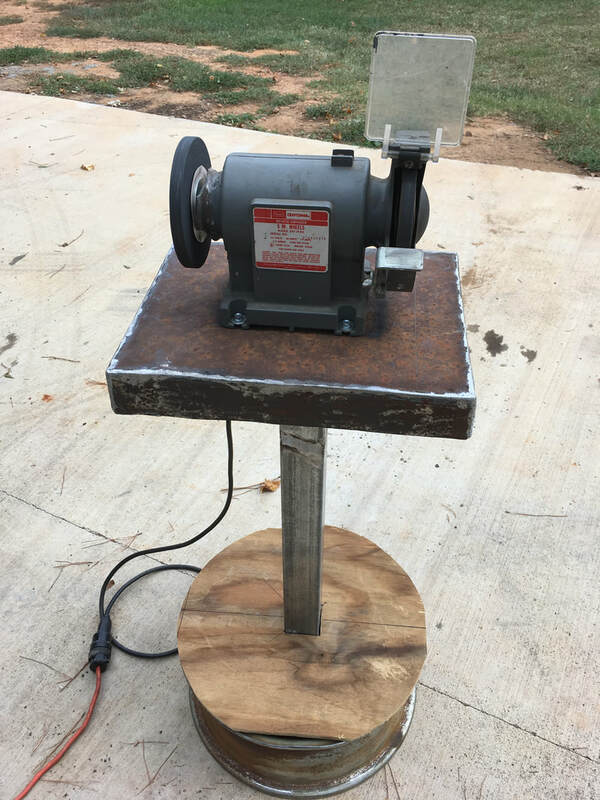 My VISE STAND turned out so well that I decided to build a stand for my wimpy little grinder. 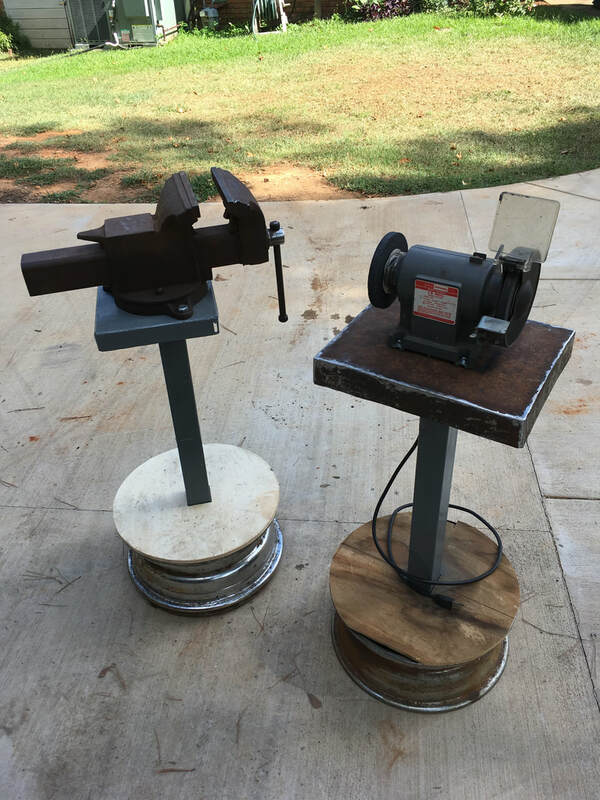 The vise stand was put to good use today. 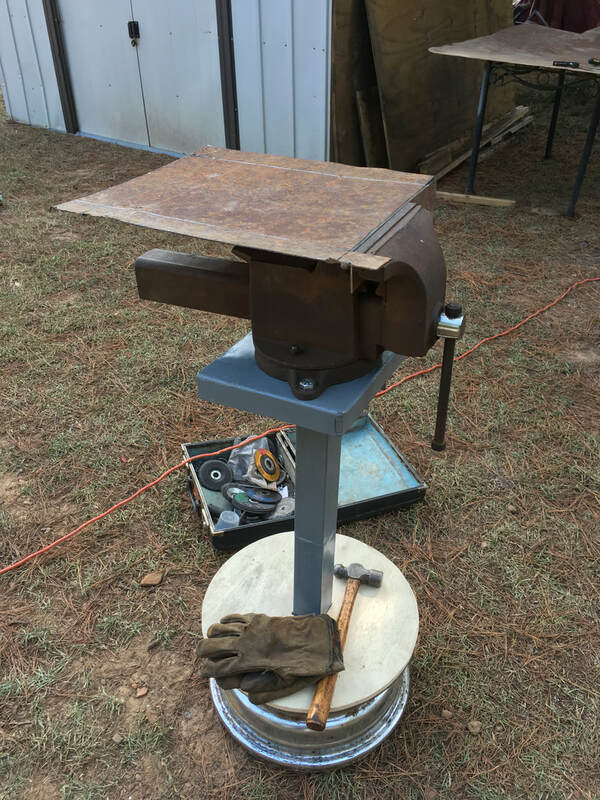 It securely held pieces for grinding, cutting and bending. 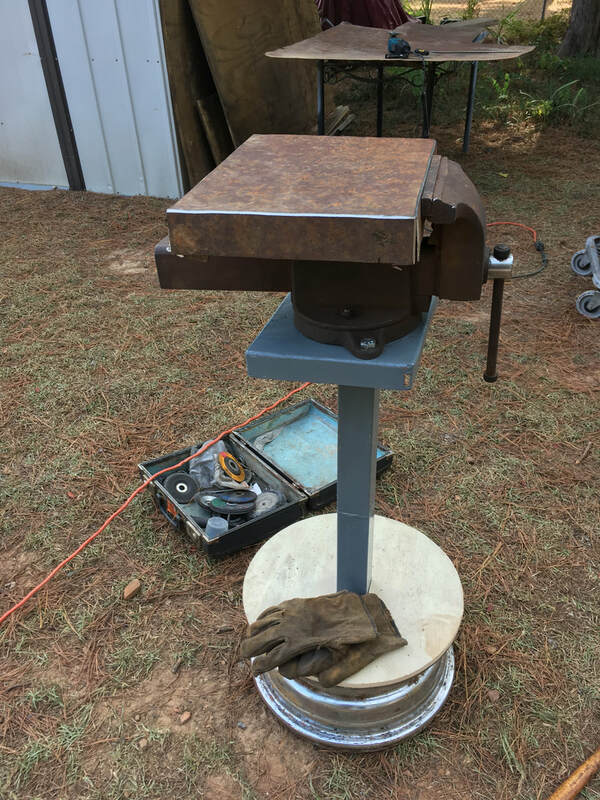 It held everything rock solid and no tipping at all. 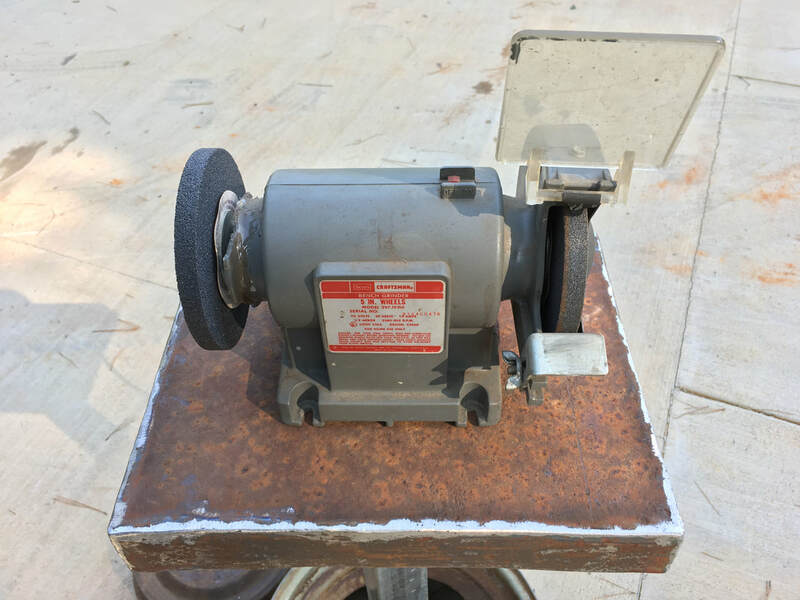 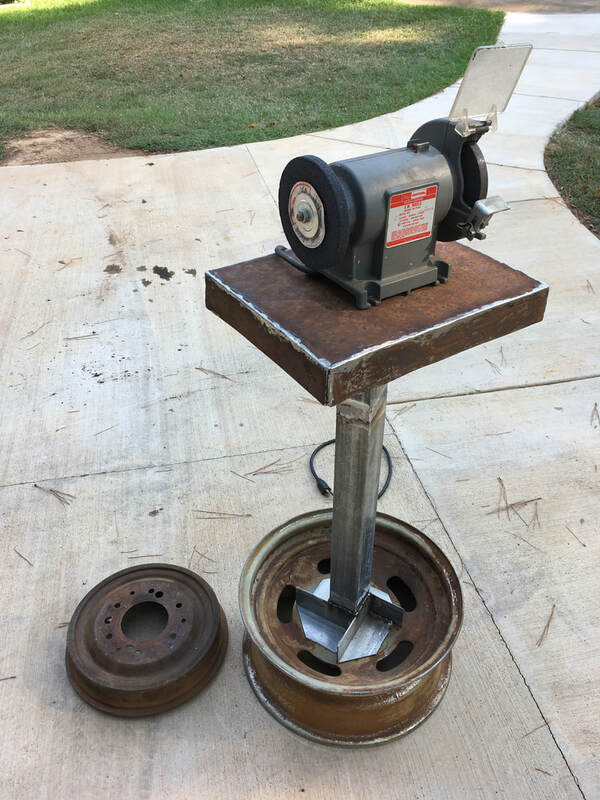 The GRINDER STAND doesn't need to be as heavy, but I'm gonna bolt an old brake drum inside the wheel base to add some weight.